Hoping you can help. I lived in the North east of England but now live in Scotland. I use to love Doner Kebabs but sadly the chilli sauce here is nothing like in the North East England, the chilli sauce here is really sweet and a completely different texture, its more like Sweet and Sour sauce you get will a Chinese. The chilli sauce in the North East England seems to be more of a Chopped tomatoes or Pizza sauce based chilli. I've tried a few recipes but none have worked so far. I'm not sure what chilli sauce is like in the rest of England though, I precume the same as the North East of England but not sure. So wondering if anyone has any recipes for the type of Chilli Sauce I need? Not all the Chilli sauces are the same around here mate, in fact there's a couple which are pretty rank and are to be avoided at all costs . Maybe when you lived in Gods own country you were lucky to find chilli sauce you particularly liked. Like you have no doubt done I've had a good scout around via google and searched 'Doner Kebab Chilli Sauce' and up came hundreds of recipes. Maybe if you keep ploughing through them you'll eventually find a recipe with a taste that you can maybe tweak to your liking. Other than recommending you move back down here mate , there's not much more I can offer Chilli sauce wise. Cheers and sorry for the lame answer but it's better than nowt I recon. 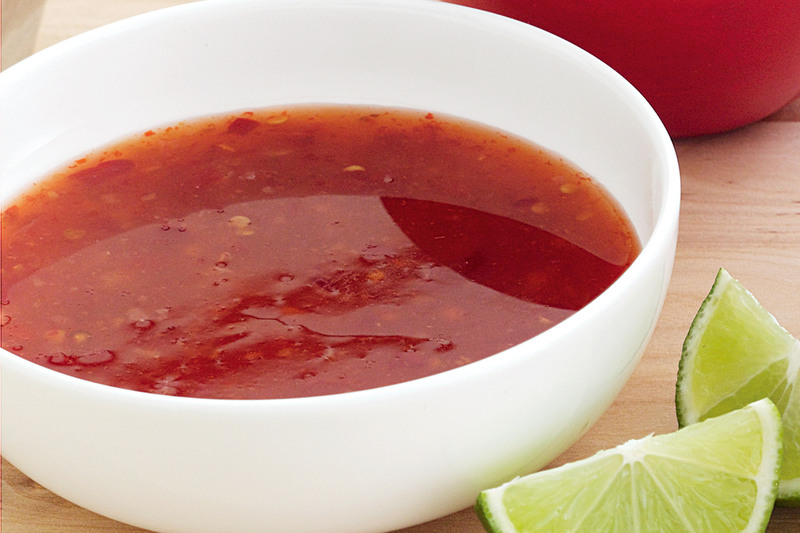 Yeah I have tried all the Chilli sauce recipes online but none were any good, hoping I will find one eventually. Back in England though the chilli sauces were almost all the same type and they pretty much I liked all of them. Although here they are ALL totally different to England and they are all the same type of flavour, like sweet and sour sauce. Hoping someone has a good recipe mate. I'm pally with the fellas who run my local chip shop blackcloud so next time I'm in I'll ask them if they'll reveal the recipe. Don't know where you are in Scotland? Geographically speaking "up here" could be anywhere! Not all kebab sauces "up here" are sweet. In fact I'm trying very hard to think on any kebab sauces that I have had tasting sweet. Unless of course, you got pakora sauce? Some takeaways "up here" serve their chilli sauce hot, out of one of those bain marie dixies. Next time you go for kebab check if they serve the chilli sauce hot. Graham! thanks, please can you do that? I was going to call round some places in Gateshead/Newcastle but thought theres no way they will tell me anything if I just ring and ask how they make their chilli sauce, but the fact that you know someone and you can go in there, there's much more chance, also even if I just find out the ingredients that would be great. Speno61, Im just next to Glasgow. Ive been to around 30 kebab places in and around Glasgow, 27 of them are all basically the same Sweet and sour Chinese style Chilli Sauce and 3 of them are the thicker tomato based North East England type chilli sauce, the problem is those 3 places are 20 miles from where I live so that's why I really need to find out how to make my own. Maybe the chilli sauce here in Glasgow uses mango chutney, tomato ketchup and yogurt but in the north east of England they dont use mango chutney, tomato ketchup and yogurt but use tomato pure or tinned chopped tomato or pizza sauce instead. I don't know. Thats what I am thinking it maybe something like that. ofcourse those are only pictures but the pictures at least you can tell they both have probably very different ingredients and tastes. Last edited by blackcloud; 10-07-2015 at 11:45 PM. After much deliberation they caved in. As you may appreciate they make this in a bucket so quantities for home use will have to be tinkered with by your good self mate. Blend the lot till' smooth. This shops sauce is not as red as some but maybe Tomato Puri could rectify that plus it would add a bit tomatoey flavour which I have experienced in some Kebab shops. Maybe 3 or 4 0nions could be the start of your recipe with a couple of narrow Lemon wedges. Chillies and powder to suit your heat. He puts a big handful of shredded cabbage in the bucket if that's any help. Well that's it mate, let us know how it goes. Thanks so much for that, really appreciate you doing that for me. What is Chilli (Black eye) though mate?. Last edited by blackcloud; 15-07-2015 at 01:17 AM. Graham, or anyone else know what Chilli (Black eye) is?